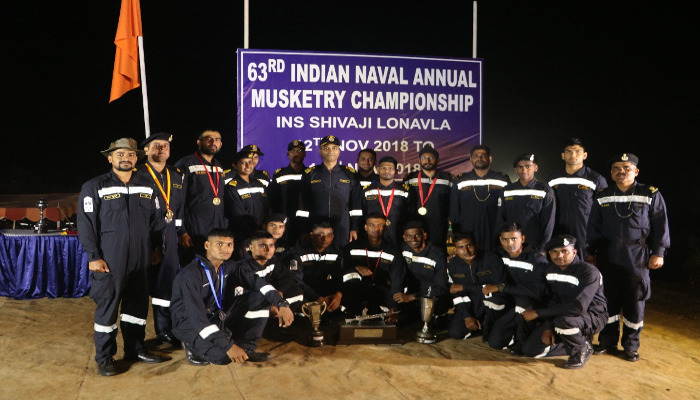 The Indian Navy Annual Musketry Championship (INAMC) - 2018-19 was conducted on 12 and 13 November 2018 at Indian Navy’s biggest classification range, at INS Shivaji. 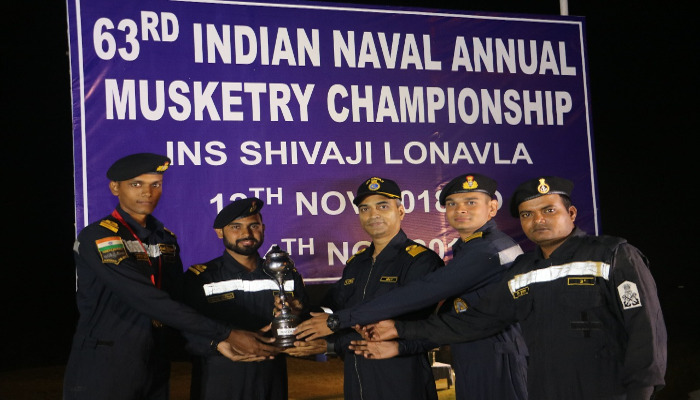 Teams from the Southern, Western and Eastern Naval Commands, consisting of 27 shooters, participated in the championship. 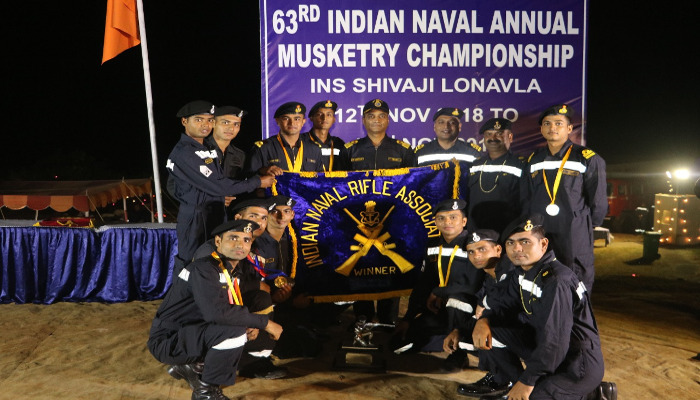 The Championship comprised matches with INSAS rifle, Light Machine Gun (LMG), 9 mm carbine and 9 mm pistol in various firing positions within the given time. Three matches were conducted in run and fire mode with INSAS, LMG from a distance of 300 metres and carbine from a distance of 100 metres to simulate combat. Two matches with pistol and carbine were conducted from a fixed distance of 25 metres to assess accuracy. 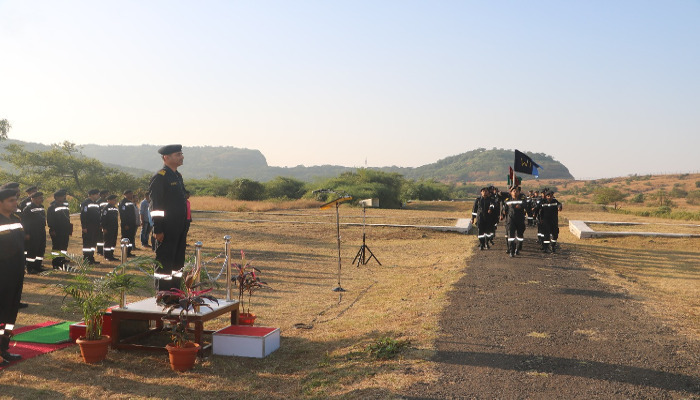 The event culminated with a Camp Fire, wherein Commanding Officer INS Shivaji presented medals and cash prizes to winners and runners up of individual matches. Gaurav Pahalwar COM I (TEL), Akash NAMI and Maruti Bhabad LOG II (SC) stood first, second and third respectively in 300 metres INSAS. Tejas G Jadhav LOG I (F&A), Abhishek SEA II and Gaurav Pahalwar COM I (TEL) stood first, second and third respectively in 300 metre LMG. 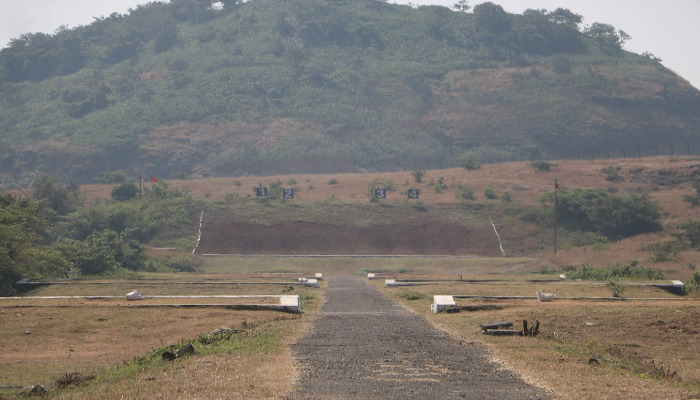 Anand ERA 3, Ajay Kumar ERA 3 and Hitendra Singh ERA 4 stood first, second and third respectively in 100 metre carbine. Lt R Harrish, SLt Swapnil Thakur and Lt Rishabh Raghuvanshi stood first, second and third respectively in 25 metres pistol. Teams from SNC and WNC stood first and second respectively in match ‘Shoot to Kill’ from a distance of 25 metres. 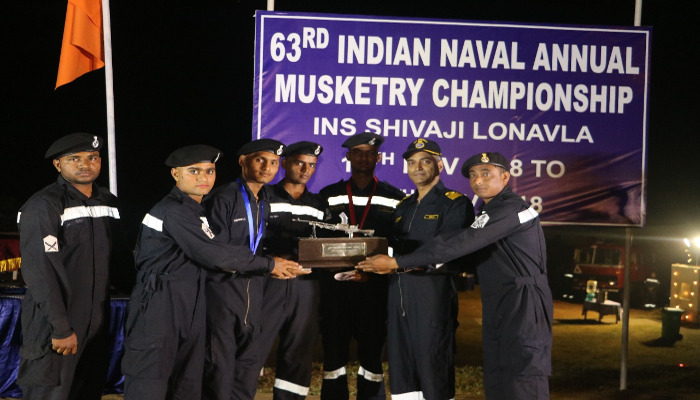 The Western Naval Command emerged as the overall winners of INAMC-18 and was awarded the Champions trophy and Banner, while the runner-up trophy was awarded to Southern Naval Command.